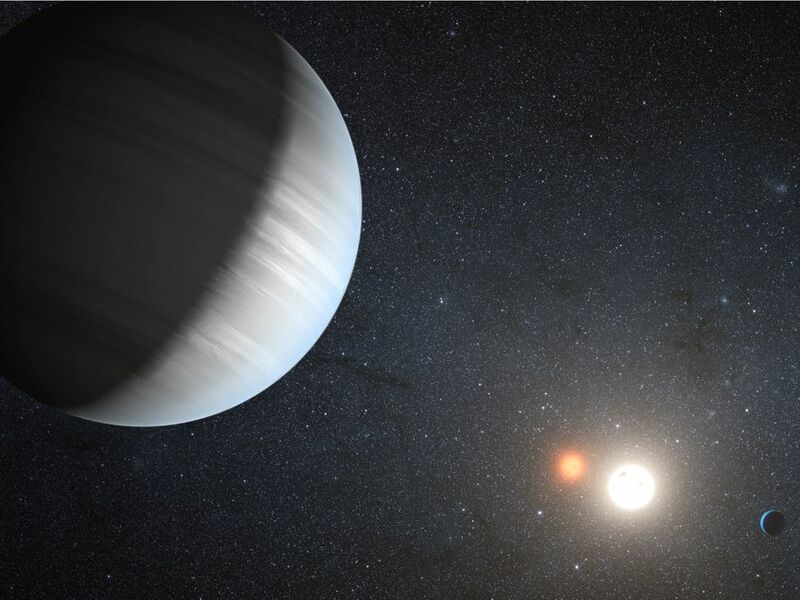 Illustration: Double planets orbit binary stars. Kepler-47 is a circumbinary system. This means multiple planets orbit binary stars. Kepler-47 is in the constellation Cygnus, about 5,000 light years away.